Happy Workers' Day! And like dedicated workers, we're working today - on a public holiday. We've just wrapped up ('scuse the pun) a chocolate wrapper design project for De Fleuriot Chocolates. Yum. 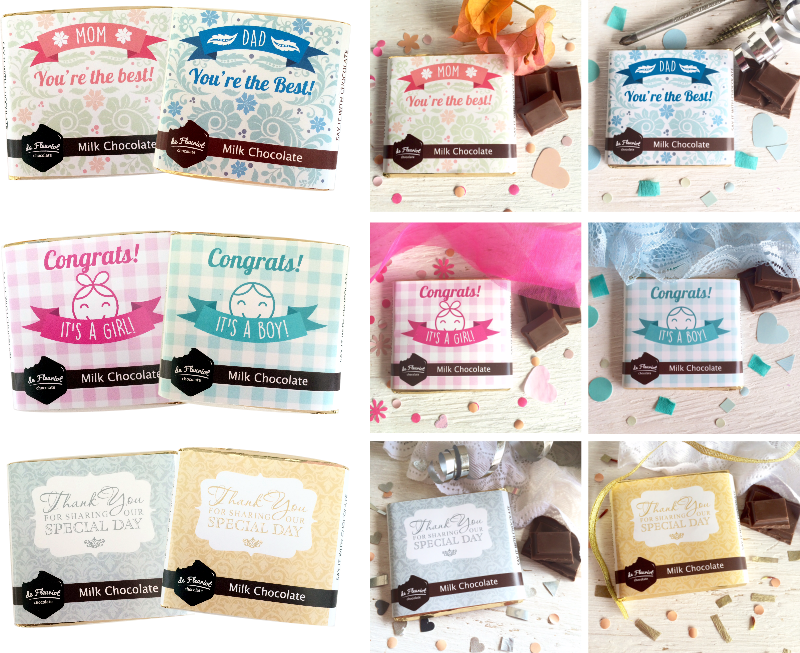 The client wanted something different from her usual packaging and to include wrappers for Mother's Day, Father's Day, a newborn baby boy and girl and a gold and silver 'special day' wrapper that can be used for weddings or anniversaries. So, here they are. If you want to order some for your outlet or occasion, please visit the De Fleuriot Chocolate website and contact Lizette.